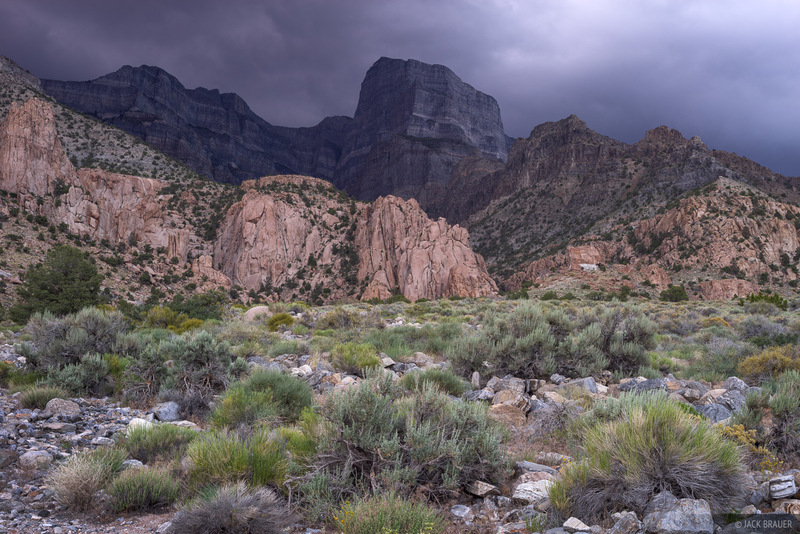 Ominous thunderclouds over Notch Peak in the House Range of eastern Utah. 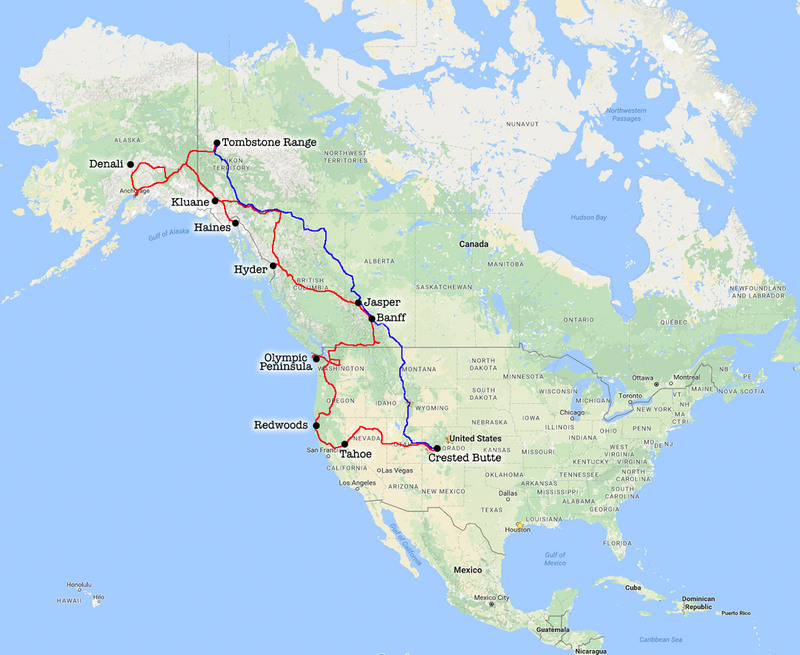 In mid-June during the first week of our road trip we took a zigzagging route through the Great Basin of western Utah and Nevada. The Great Basin gets its name from the fact that no rivers flow out of the region; there are few rivers or streams, and any flowing water collects in broad lakebeds or salt flats where it eventually evaporates. 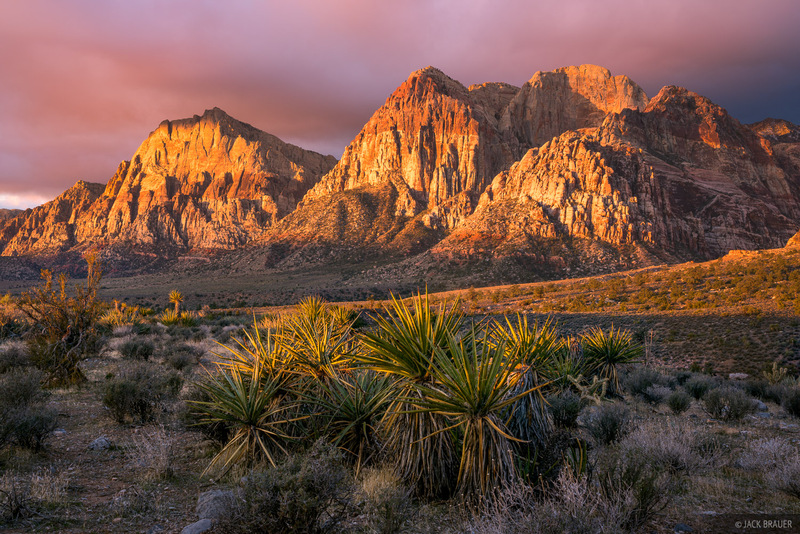 Encompassing most of the state of Nevada and the western portion of Utah, the Great Basin is characterized by a seemingly endless series of rugged north/south ranges with broad, empty desert valleys in between. 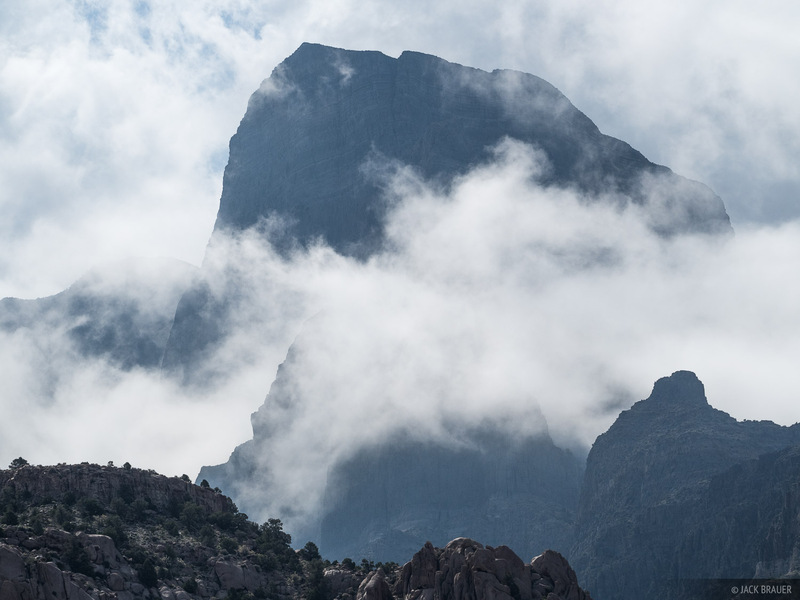 Our first stop was the remote House Range near the western border of Utah, where Notch Peak soars dramatically over the desert with a sheer 3,000 foot vertical north face. 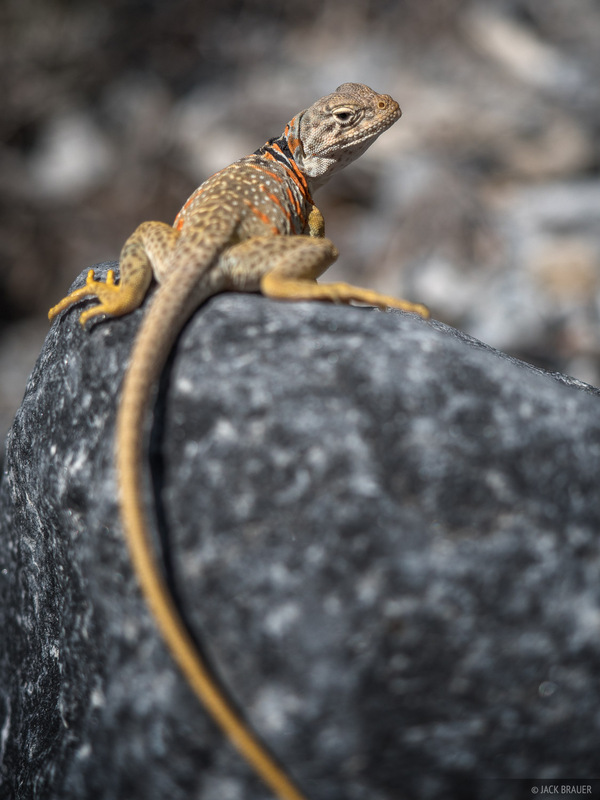 A collared lizard in the House Range, Utah. Clouds shroud Notch Peak, Utah. We had hoped to hike a ridge route up to the top of Notch Peak, but a forecast of high winds and thunderstorms quashed that plan, so we moved on to nearby Great Basin National Park just over the border in Nevada. Here the same relentless high winds also convinced us to abandon our plans to hike up Wheeler Peak, opting to not spend a day getting blasted by chilly gusts on the high ridgeline. But we did enjoy a tour through the famous Lehman Cave, a beautiful cave system under the base of the mountain. 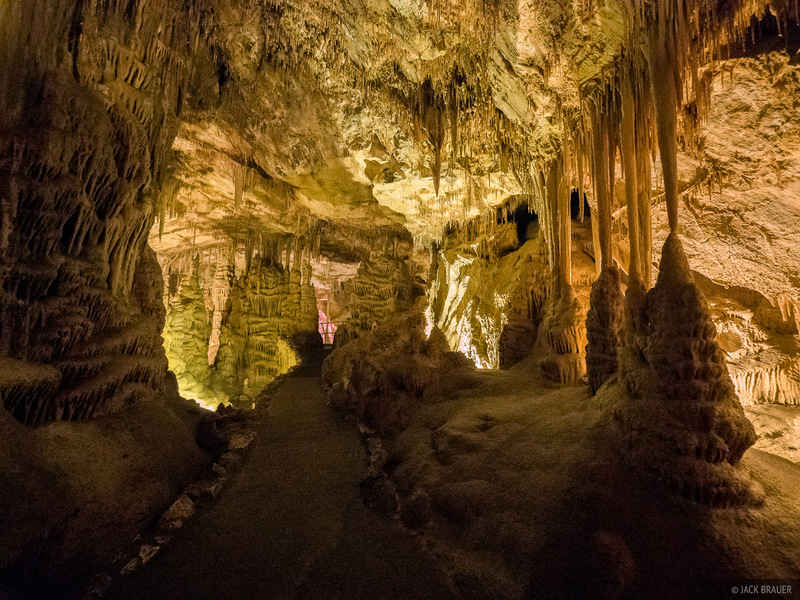 A path through Lehman Cave in Great Basin National Park, Nevada. 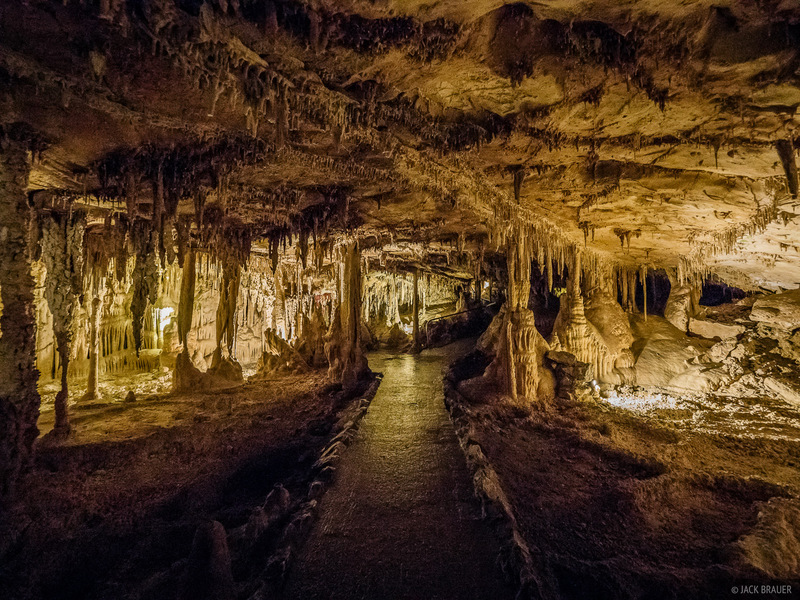 Inside Lehman Cave in Great Basin National Park, Nevada. 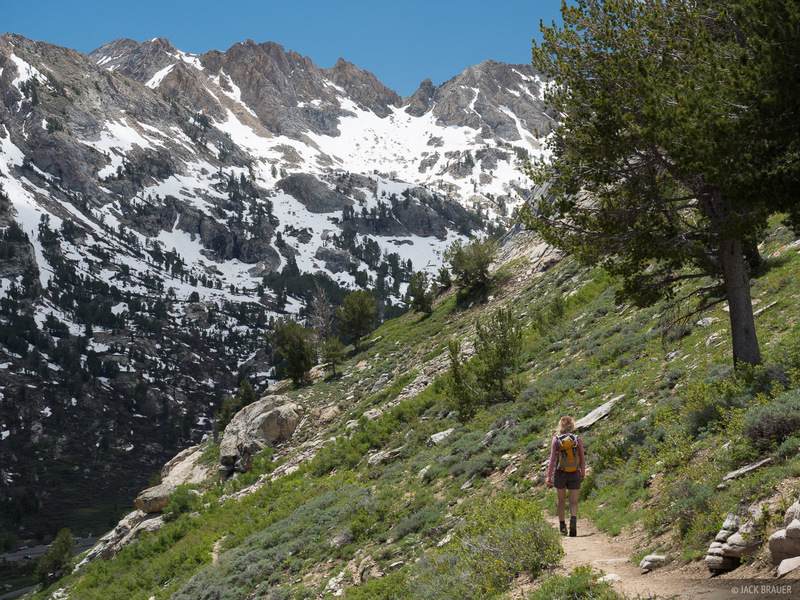 Hiking the Island Lake trail at the head of Lamoille Canyon in the Ruby Mountains of Nevada. Next we drove north to the Ruby Mountains, the most “alpine” of Nevada’s numerous mountain ranges. 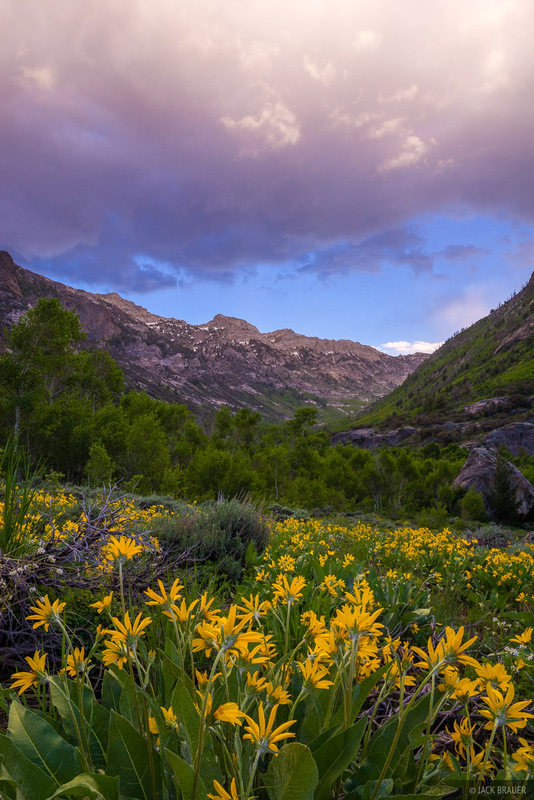 We drove up Lamoille Canyon on the west side of the range, and were immediately awed by the super rugged peaks soaring precipitously above the valley on all sides. What awesome mountains! 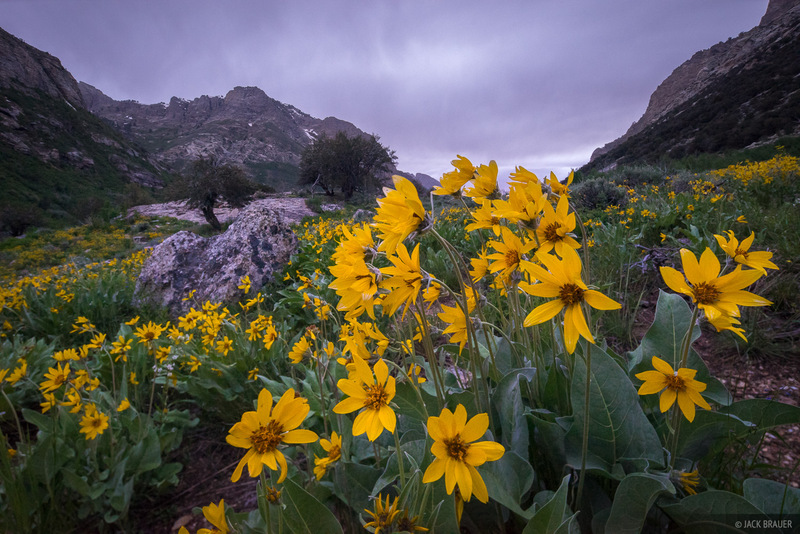 Early summer flowers in Lamoille Canyon, Ruby Mountains, Nevada. We’d been hoping to do a backpacking trip in the high Ruby peaks but were also expecting that there would probably be too much snow still. Indeed, the high peaks still had a substantial snowpack and the high lakes still frozen, so we camped a few nights in Lamoille Canyon and did smaller day hikes instead. 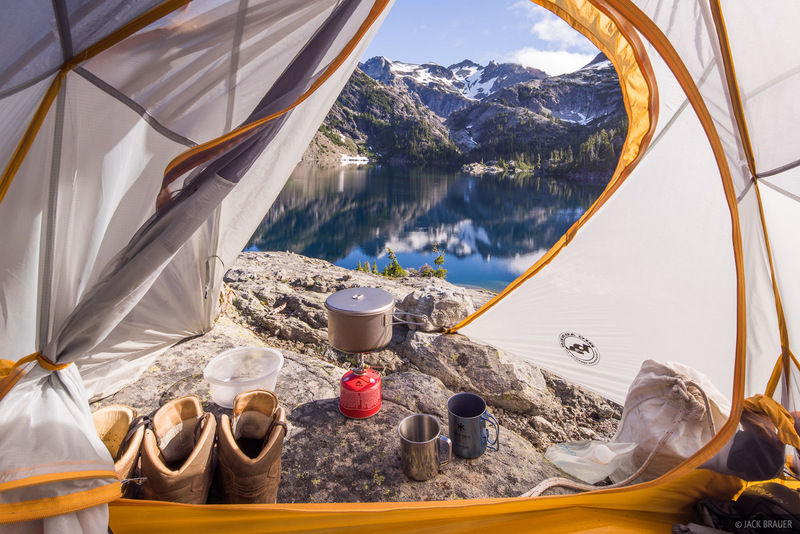 We will have to return another year for some backpacking in this incredible mountain range! 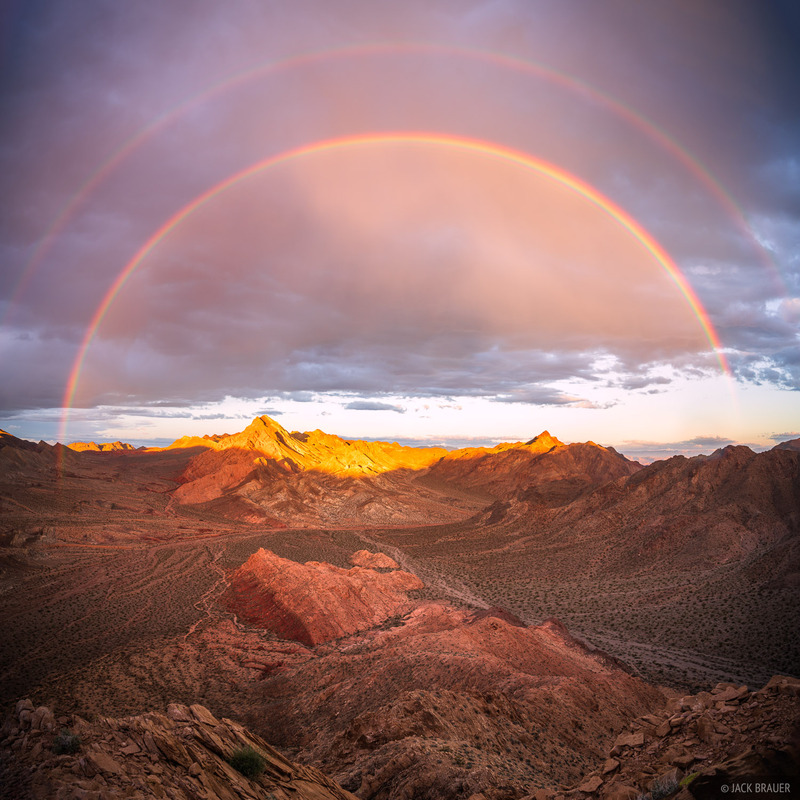 Posted in Road Trip 2016 and tagged Nevada, Utah on June 26, 2016 June 26, 2016 by Jack Brauer.